Future GRIZZLIES and Parents of Future Grizzlies!! Welcome to Copper Hills High School!!! Sophomore Orientation on the evening of April 2. If you did not have a chance to attend, don’t worry. Counselors will be going to the feeder Middle schools to distribute information. 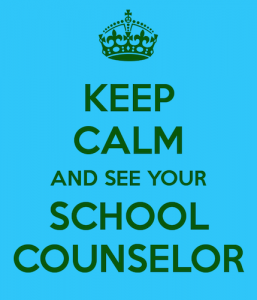 Feel free to email your student’s counselor with additional questions. As you are planning for next year school year we wanted you to be aware of updates to the New Century and Regents’ Scholarship programs along with two opportunities related to the Regents’ Scholarship. Many students have a desire to take courses that will promote strength in future college curriculum and earn a scholarship at the same time. The Regents’ and New Century Scholarships are great ways for students who wish to stay in Utah for college and earn money for tuition. Regents’ encourages higher core course loads and New Century rewards those who earn an associate degree while attending high school. Both of these programs are funded and directed by our State Legislature. Anytime parents and students have a question about Utah Scholars, Regents’ or New Century programs, we advise you to contact the USHE or USBR. The Regents’ Scholarship may be modified each year as a result of legislation. It is important that you use the information found on the official website as your resource for the most up-to-date information. The scholarship Rules and Requirements will likely be updated in late May 2019. Official information regarding the Regents’ Scholarship is produced by the Utah System of Higher Education or the Utah State Board of Regents. Do not rely on information published by any other entity. Several changes to the Regents’ and New Century Scholarships were made during the 2019 legislative session. Preliminary changes are listed below. The Board of Regents will review and approve policy changes to these scholarships in mid-May, after which program materials and websites will reflect the changes for this graduating class. Check back for updates at regentsscholarship.org andnewcenturyscholarship.org. The Regents’ Scholarship awards academic achievement. The scholarship’s academic requirements essentially stay the same. Students choosing classes based on the old scholarship requirements are still on track to qualify for the new scholarship. Many administrative requirements are being simplified. Any changes are based on data and have been proven to lead to college success. Every student who qualifies for the scholarship will receive an award. The scholarship award amount will be determined annually based on available funds and applicants. Awards will be coordinated through the student’s college to leverage all other financial aid opportunities and simplify the student’s experience. The Regents’ Scholarship does NOT require applicants to qualify for federal loans or grants. Students are required to complete the Free Application for Federal Student Aid (FAFSA). However, a student does not have to qualify for federal financial aid to receive the scholarship. All students who complete the FAFSA, regardless of aid eligibility, receive an Estimated Family Contribution (EFC). The EFC is a necessary indicator colleges use to counsel students about their paying for college options. Utah has the lowest rate of FAFSA completion in the nation, with students leaving over $36 million in free money for college on the table each year. In order to help increase the FAFSA completion rate—and to make students aware of other ways they can pay for college—the new Regents’ Scholarship requires that applicants complete the FAFSA. It does not require that a student qualify for federal financial aid. The Regents’ Scholarship can now be used at institutions in the Utah System of Technical Colleges, but not at private institutions (Brigham Young University, LDS Business College, and Westminster College). The Regents’ and New Century Scholarships may only be used to cover tuition and fees.